Clothes Giveaway in Cullen Street was a resounding success. 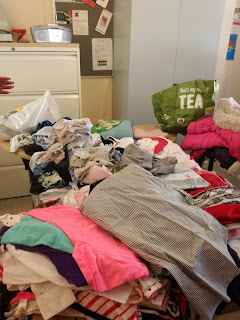 Loads of interest in the event with people dropping off clothes to replenish our supplies. 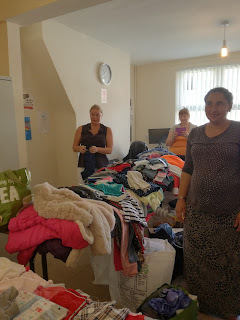 The time went so quick due to the volume of clothes and people that came to the event. Everyone who volunteered got stuck in with helping out. Clearly they enjoyed the event as they want to help out at our future clothes events happening throughout the L8 area in the coming months. Watch out via our web site and Twitter for our next scheduled clothes event.